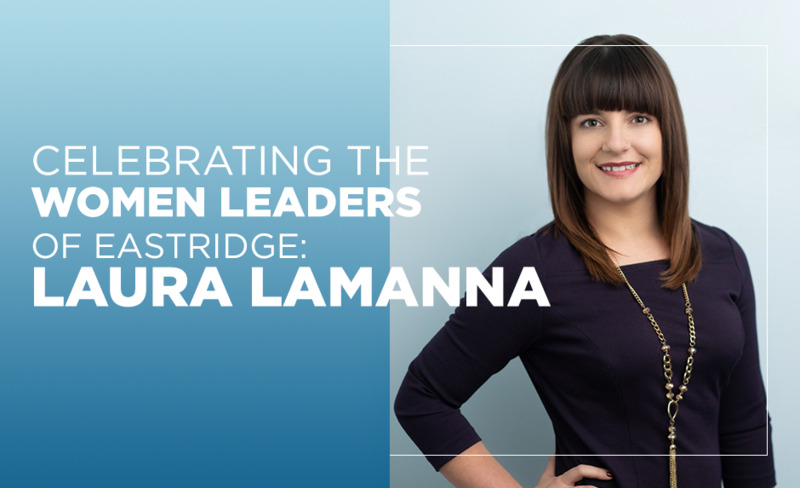 This March as we celebrate Women’s History Month, we’d like to recognize Eastridge’s women leaders who deliver their best to Eastridge every day, year over year. Throughout this month, get to know some of our most remarkable women leaders for their lessons learned and wins achieved. Q: What year did you join Eastridge and what is your current position? A: I joined the Eastridge family in April 2014. I currently serve as the National Director of Commercial Staffing. Q: What do you consider your biggest accomplishment while at Eastridge? A: The greatest accomplishment is being able to see previous direct reports now assuming leadership roles or climbing to the top of their industry. To see previous team members, who served as Administrative Coordinators or Account Managers for our team, now grow and inspire their own team members or to see others leading the pack as top recruiters in their vertical - it is truly the best feeling. There is no greater accomplishment than to see a team member grow into their own. Q: What advice would you give young women just starting their career? A: When I graduated from college, my father-in-law gifted me the popular book, “Lean In” by Sheryl Sandberg. It references that women often feel as though they're a "fraud.” That one day their leader or their peers will discover you are not good enough to have a seat at the table. We somehow believe our accomplishments were achieved by pure luck. And, while I still feel uncertainty in new situations, the fraud complex and uneasiness due to a lack of confidence has subsided. The more experienced version of myself now believes in my ability to navigate new waters. I have learned to seek new challenges and that the mental discomfort is really the feeling of me growing and learning as a professional. When those times come where the younger me would say, "you're not cut for this" or when I flop or misstep and my internal monologue chimes in, "see, you can't handle this,” I now push myself through the hump. I remind myself that it’s not pure luck that brought me to where I am today. It is my work ethic, my determination, and the network I have built of strong mentors to bring me where I am. A: In all honesty, my parents. They taught me the basics of business from a young age, what true work ethic means and the importance of humility with your success. Growing up, my mother instilled in me the importance of being a confident female professional. I was blessed to watch her hard work and dedication to her craft payoff throughout her career, and she gave me countless advice, but one piece has always stuck with me. She once told me, "Laura, as a woman, you need to stand a little taller and speak a little louder" (and at barely 5 feet tall, she truly means it). When I doubt myself or feel that fraud complex creeping in, I think of her advice and make sure to stand a little taller. Aside from my personal mentors, some of the most influential members of my "tribe" have been within my own Eastridge network. Kasey Hadjis, our CAO, has been a mentor since the beginning of my career. She sets a gracious and honest example of leadership in our organization. I am truly thankful to have her in my network. There are countless other power-house women in my Eastridge network (from our Director of Operations to our General Counsel) that I am thankful to know and reach out to for advice or simply learn from their exceptional leadership standard. The biggest takeaway from my success has been the ability to build internal and external relationships. If there is someone in your circle who excels at something never hesitate to reach out to them and seek advice, especially when you are just starting your career. Mentorships, no matter how informal they may be, are so integral to your growth. And one day, when you reach your own form of success, it is so important to remember to also pass your lessons learned to the next generation - to build the next tribe of successful women.